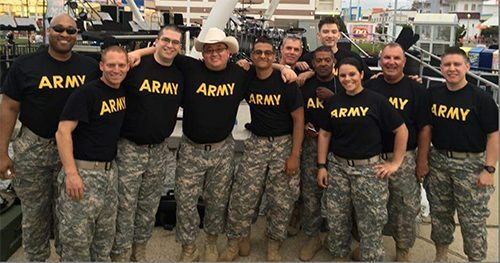 The 287th Army Band’s “Nightfire” is a popular music ensemble that has been entertaining audiences in the state of Delaware and surrounding areas for over 10 years. They perform a variety of Pop, Country, Soul and Patriotic music to appeal to a wide variety of musical tastes. It is a pleasure for our Soldier/ Musicians to provide support to the Soldiers of the Delaware National Guard and the citizens of our great state.